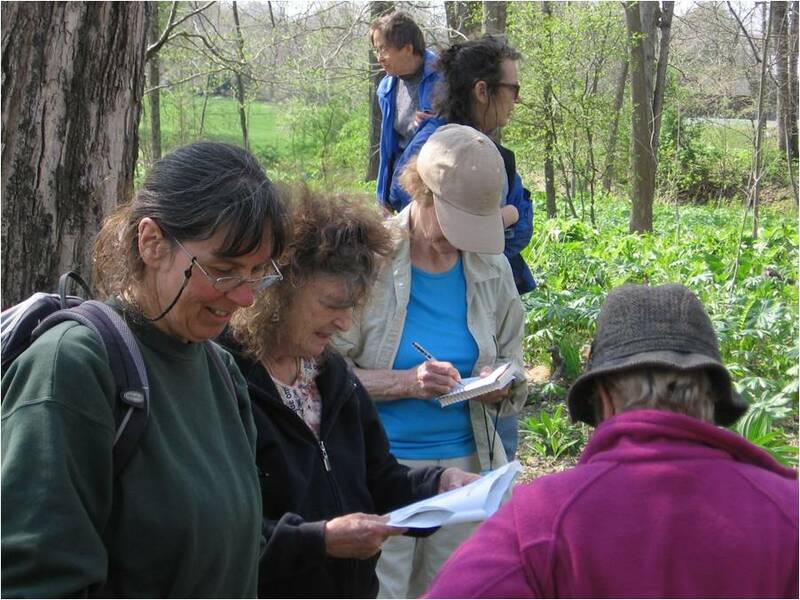 On weekdays from May-September, we conduct ecological field research throughout Columbia County and beyond. We welcome your participation for a day or on a more regular basis, if you are interested in biodiversity inventories and/or agro-ecology research. No prior knowledge is required, but you have to be eager to learn and willing to fit into the ongoing research. If you would like to explore possibilities, please call Claudia or Conrad (518) 762-7994 or send us an email. On weekends throughout the season, we also organize several “Participatory Natural History Outings”, which are half day group outings focused on the documentation of wild plants, butterflies and dragonflies of select locations. All are welcome to participate to the best of their abilities, to learn about the landscape and its plants and animals in new ways, and to meet other people interested in natural history. Please check the events calendar for scheduled outings. For further information and to register, please call Claudia (518) 762-7994 or send an email. If you are interested in participating in cultural field research, contact Anna Duhon at 518-672-7994 or by email to discuss other opportunities. Participatory Natural History Survey in action.